Here are some everyday eye tips in honor of February being Low Vision Awareness Month! Keeping eyes healthy is important at any age, beginning with young children. Lighthouse Guild, the leading not-for-profit vision, and healthcare organization are advising everyone to schedule regular screenings and comprehensive eye examinations. Vision screenings and eye exams are critical to maintaining eye health. Comprehensive dilated eye exams for adults can help detect glaucoma, macular degeneration and other serious eye diseases that can lead to blindness. 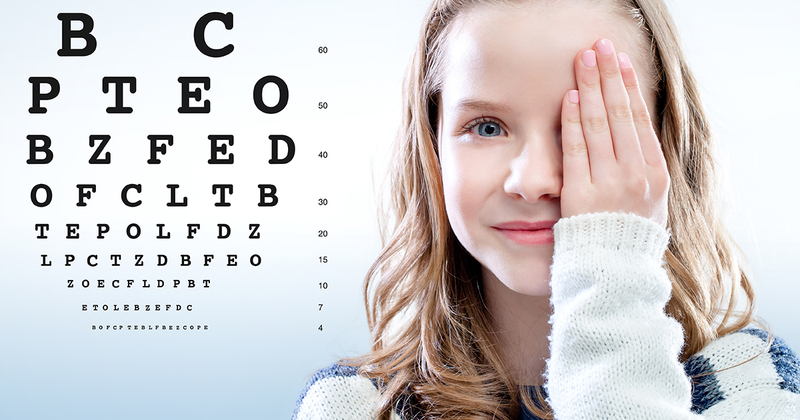 Vision screenings can help detect problems, such amblyopia, also known as lazy eye, in children. Get high-quality eye charts for checking visual acuity here. If you notice blurry spots, blurred vision, halos surrounding lights, eyes that itch or burn, black spots or "floaters," double vision, tearing or watering eyes, or if you find yourself squinting or having trouble reading or watching television, it's time to make an appointment. An eye doctor should be made aware of any gradual changes in your vision so the necessary action can be taken to maintain eye health. Tinted glasses will not necessarily protect your eyes from harmful UV rays. It is important to get good quality eyewear that provides both UVA and UVB coverage to protect your eyes properly. Get UV glasses here. This type of eye strain—also known as computer vision syndrome—doesn't permanently damage eyesight, but symptoms could include burning or tired eyes, headaches, neck pain, fatigue, blurred or double vision. To rest your eyes, it's good to look up from your work every 20 minutes, focus on an object 20 feet away for 20 seconds (the 20-20-20 rule). Get your computer, phone, and tablet light protectors here. Dr. Laura Sperazza, Director of Low Vision Services at Lighthouse Guild, says, "The most important thing you can do to protect your vision is to get an eye exam. If you find out you're in the early stages of an eye disease, your eye care professional will help you maintain the highest possible level of eye health and visual function."